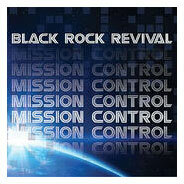 Released in 2011, Black Rock Revival set a new standard for Rock-n-Roll music with this 12-track album, entitled "Mission Control." The album is personal a statement to each member of the band, along with the people who doubt them, that Black Rock Revival is in control of the Mission they set out for. Growing up in the roughest, poorest neighborhoods in Memphis, TN, society has branded them with imagery that advocates the idea of having no control. "Mission Control" is a rebellion against this idea, through the band's unique style and delivery of Rock-n-Roll. Lead singer, Sebastain, describes the sound of the album as "Ghetto Soul Rock!!!!" Connect with Black Rock Revival today!